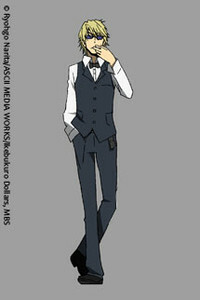 He works as a bodyguard for a debt collector in Ikebukuro and carries intense animosity towards Izaya. He has a younger brother, Kasuka, who is a top idol under the showbiz name of Hanejima Yuuhei. He is also a long-time acquaintance of Celty.